Well, things have finally settled down today. Alexandra is feeling better, FINALLY!!!! She got the most terrible viral infection which ended us up in the ER because we couldn't control her fever which was anywhere between 101 and 104.3. Poor kid. It's been a nightmare since Sunday night but things are finally looking up. I got one of my E.A.D. Designs projects finished!!!! This was such a fun and simple project! I had my husband pick up some wood at Home Depot (a cedar post) and they actually cut all the blocks for free for him! (The blocks are about 3 1/4 " square cubes) I painted them black (only one coat) and by the way since they are cedar they smell sooo good! I let them dry and then applied the E.A.D. 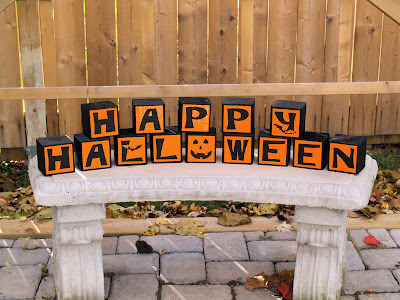 Designs Happy Halloween Block Rub-Ons (orange) to my blocks. Voila! 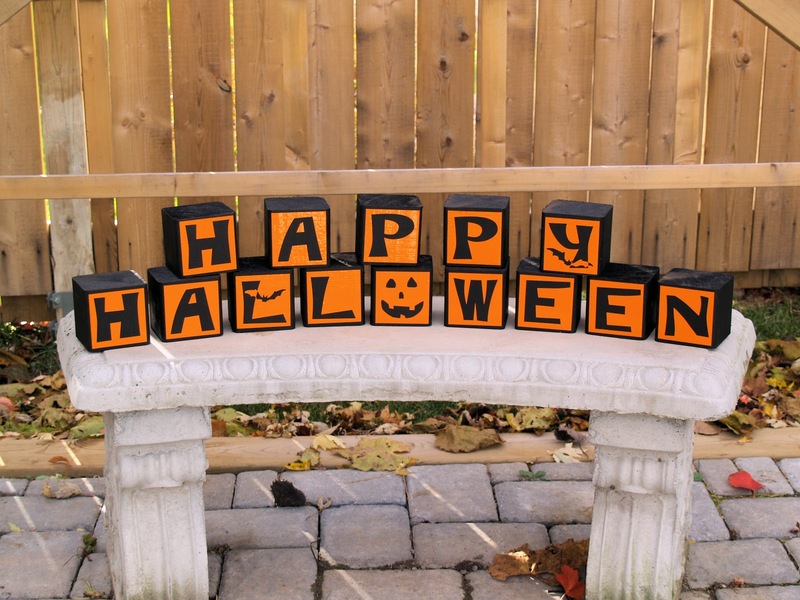 Easy-peasy and now we have a wonderful and cool Halloween decoration that we can use for many years to come! I'm going to set mine up on our front porch. I'm working on one more fun Halloween project featuring E.A.D. Designs Rub-Ons and will be posting that in another day or so! I'm so glad she is feeling better. Love how these turned out...2 CUTE! This looks awesome , love it Stephanie. Hey Stephanie, I'm so glad to read that your little girl is on the mend. I hate fevers that last and go high like that.